I have always loved wearing chic ethnic outfits from Vintage Desi, just like many others out there. Why? As they have the wide range of clothing made by local and celebrity designers. I get to pick and choose what I like depending on the occasion. They have custom-made outfits and also ready to ship beautiful garments. This year they give their customers one more reason to shop from their site as they have a new addition of high-end fashion wear for kids. This includes clothing for both boys and girls from the age of 1 to 10. They again maintain their high standards of quality just treat it as important as the adult wear section. This doesn't mean they have restricted the number of options, surprisingly the variety and choices are endless. You could shop for Indian outfits or western dresses depending on your need. It makes life easy for parents, now the entire family can shop at one place without worrying about shipping or quality. That's a relief for the busy lifestyle. 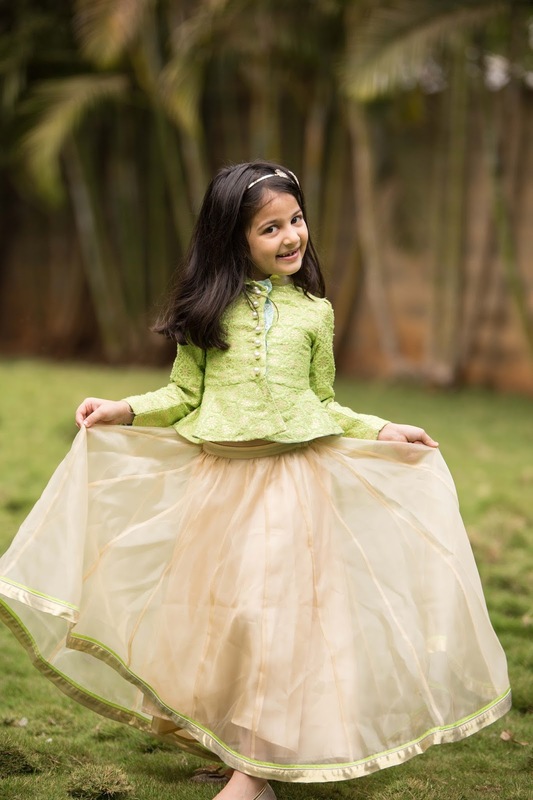 You can check their fashion wear for kids Here ! 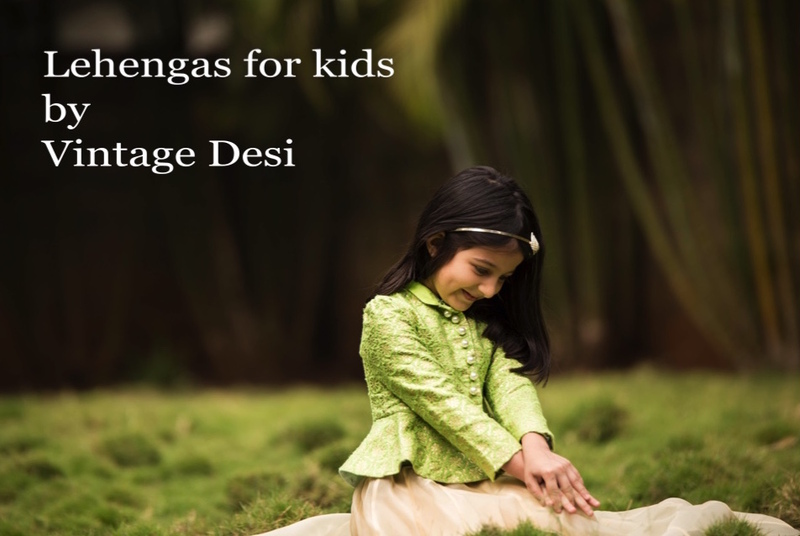 In this post our little model Richa Raibagi is wearing a grunge lehenga from Kidology which is available Here ! She looks adorable in the rare shade of green color. 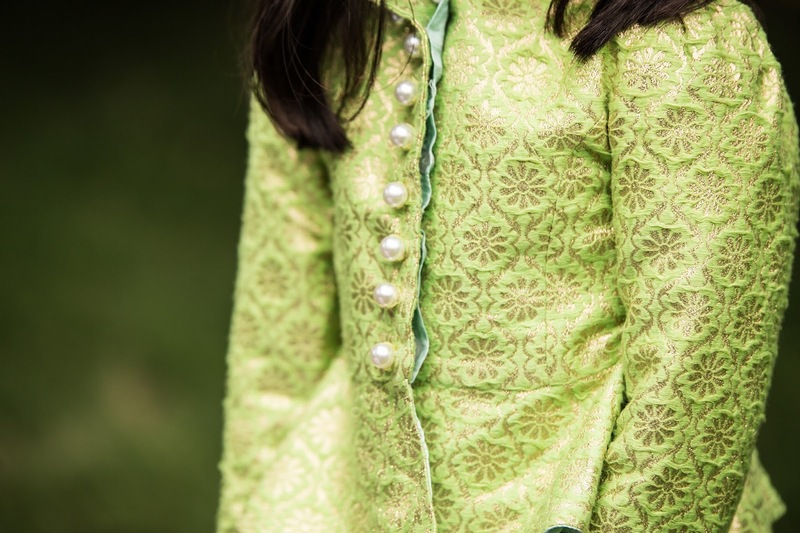 The brocade top is perfectly stitched in a modern style with a peplum flare. 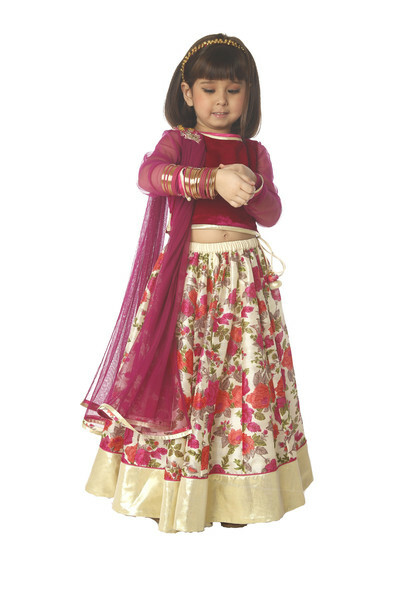 The golden net lehenga perfectly compliments the top and is a great choice for festivals and indian parties. I love how you could style the top with a pair of denims or a short skirt. The net skirt could be paired with a crop top or a long kurtha to give a complete new look. I like that this outfit works great as is and can also be styled differently ! What do you think ?? Floral Lehengha available here ! 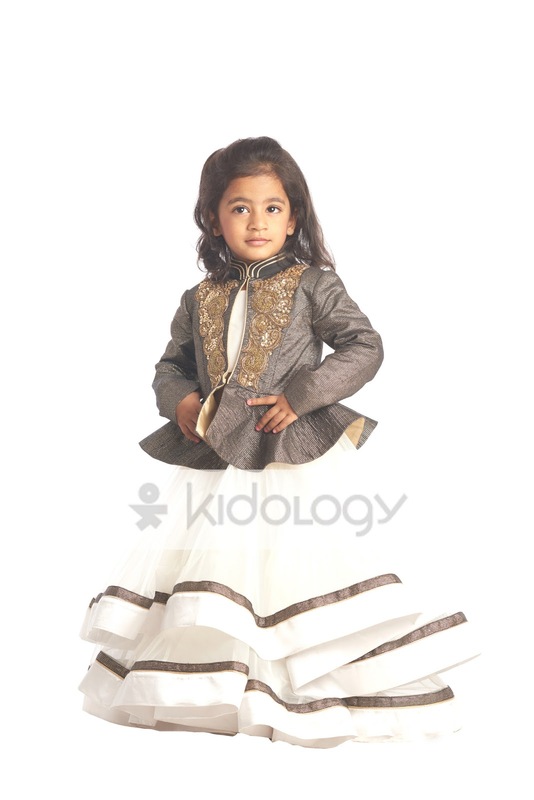 Karishma Lehenga available here ! 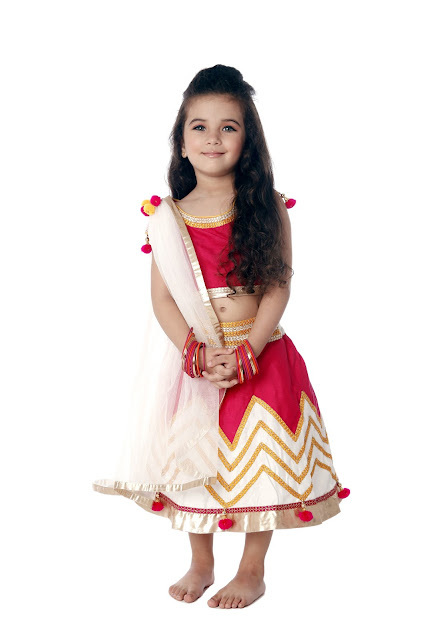 Pom Pom Tape Ghagra available here ! Adorable. Am gonna look this up for my princess. 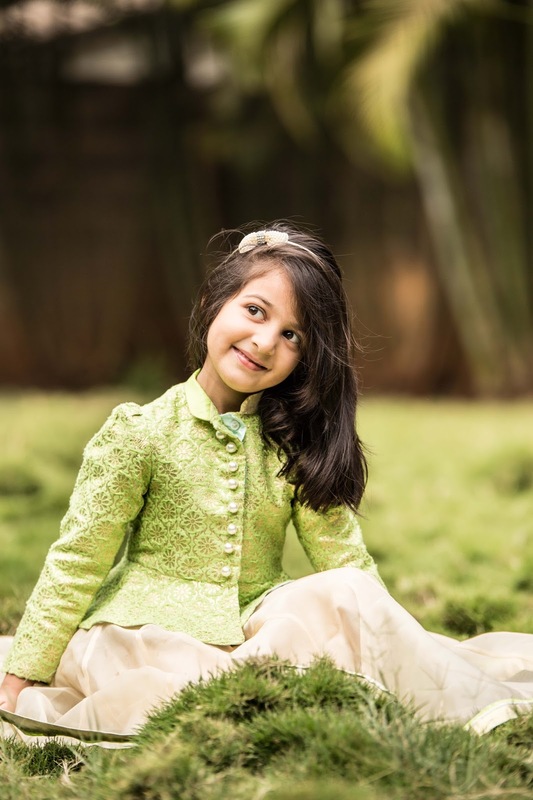 Super cute and adorable kids clothes. Such cute lehengas...i love the first one. So cute . The colours are fantastic . I love kidology. They have some amazing kids wear . Awww this is so cute! Such pretty clothes too. Kids these days have a mind of their own and love to experiment.